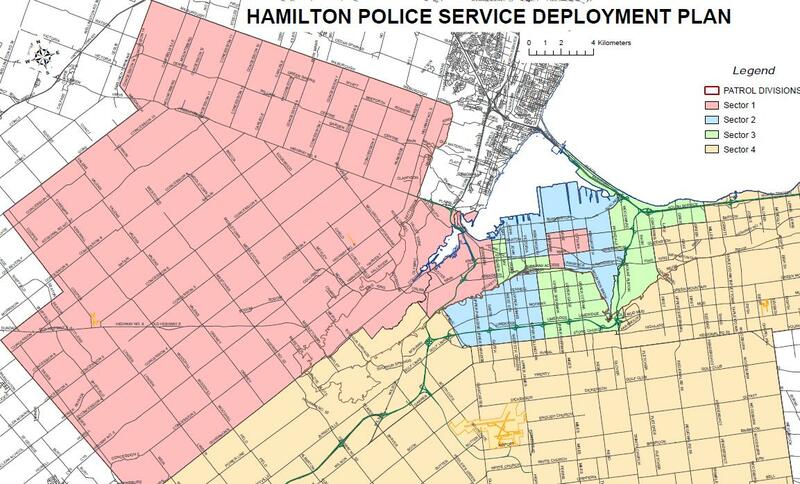 The City of Hamilton is divided into three Patrol Divisions. Division One provides policing services from Sherman Avenue to the Dundas / Ancaster border, and north from the mountain brow to the bay. Division Two provides policing services from Sherman Avenue to the Niagara Regional border, Stoney Creek mountain, and north to Lake Ontario. Division Three provides policing services to four communities: Flamborough/Dundas, Ancaster, Binbrook, Glanbrook and the Hamilton mountain.